Because special mirror processing is applied, you can use it as a hand mirror if you erase the screen of iPhone (turn off the backlight). If the backlight is turned on, the light will pass through, so you can operate the iPhone with no discomfort. 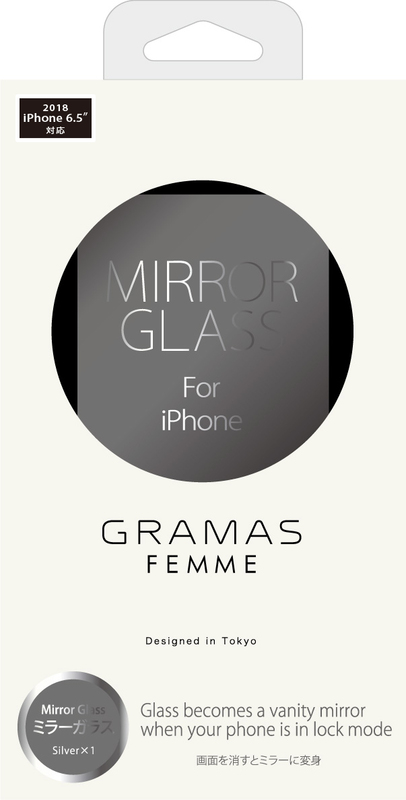 It does not drop the original strength of the glass, it is an exquisite thickness of 0.33 mm. Because it uses special processing silicone glue, air escapes well and bubbles do not enter. Antifouling coat applied to the surface of the glass makes it hard to get dirty, and even if it gets dirty it can be wiped off easily. With no thickness and high transmittance, you can express the screen of iPhone with high definition. Glass made by AGC (formerly Asahi Glass), the largest glass maker in Japan, is adopted. Surface hardness is 9H of the strongest class, it prevents scratch scratches.